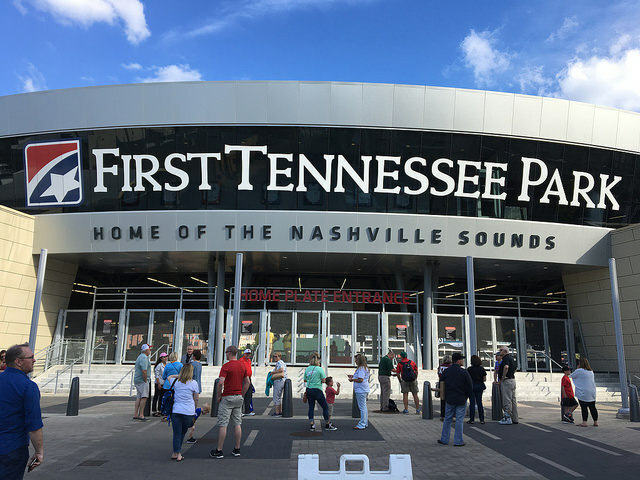 First Tennessee Park-Nashville, TN: Our first time here in Nashville, and I can honestly say this ballpark is amazing. That being said, it is also very expensive. 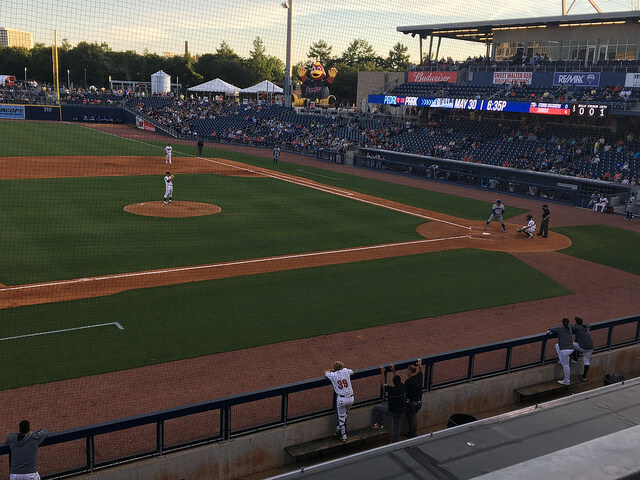 This is probably the most money we’ve ever laid down for minor league tickets, and you could probably get yourself major league tickets similar to these prices. That being said, we didn’t let that ruin our experience. 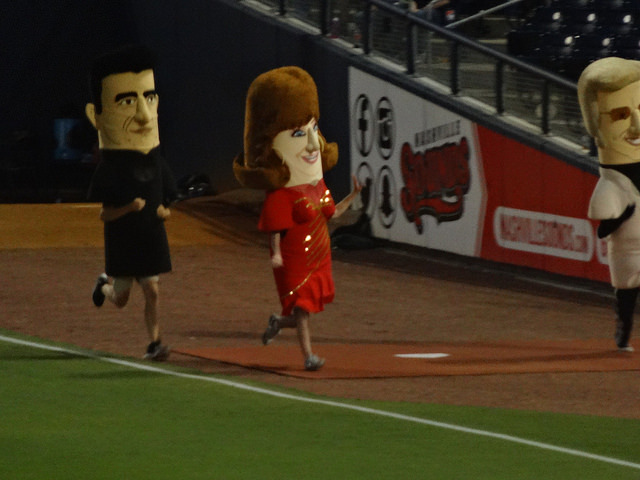 In fact, Sounds mascot Booster was waiting for us as we entered the gate. 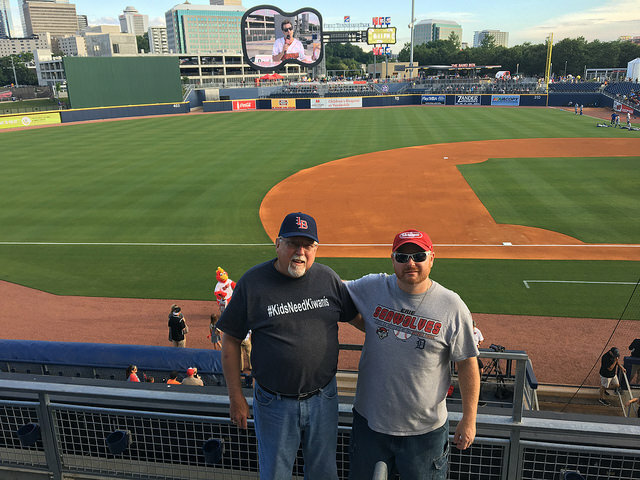 My dad loves the seats in the upper level, so that’s where we went and had a great view. 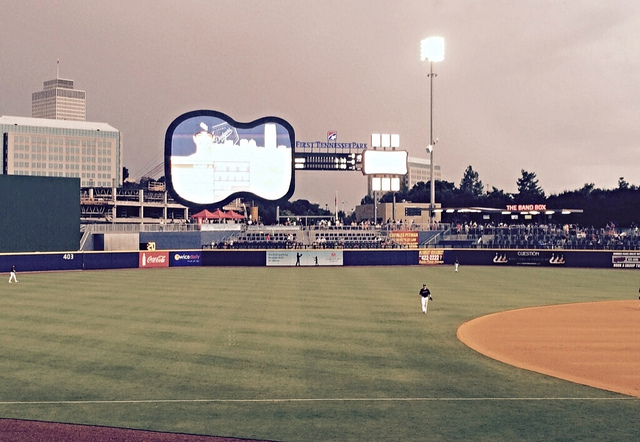 The sight lines are great in Nashville, and that scoreboard is amazing! 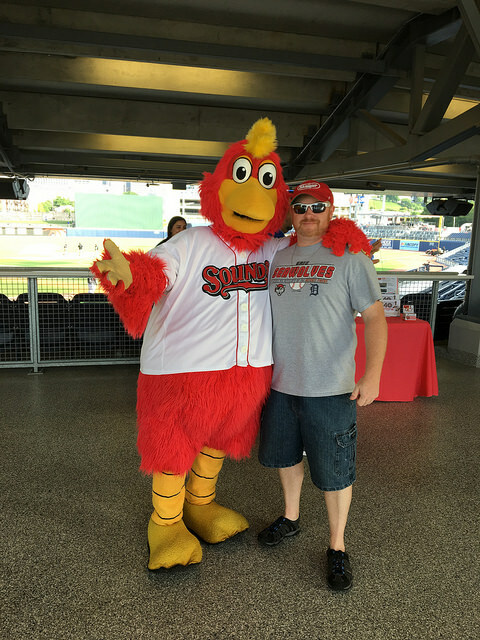 He had time to explore the park more before the game, and the outfield concourse definitely has some unique features. 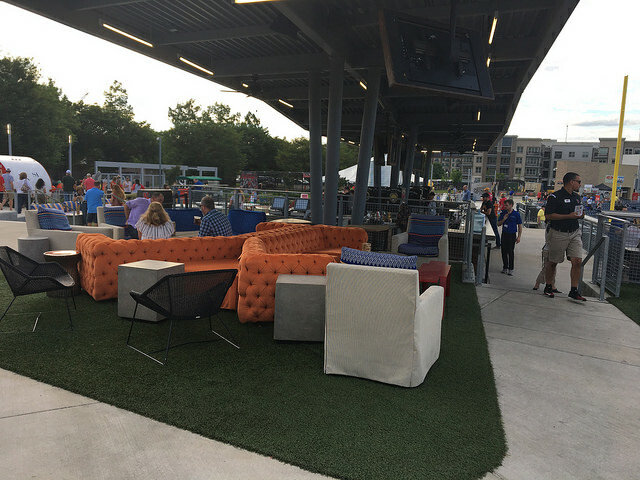 There is a full bar out there with couches, chairs, and even a pool table. 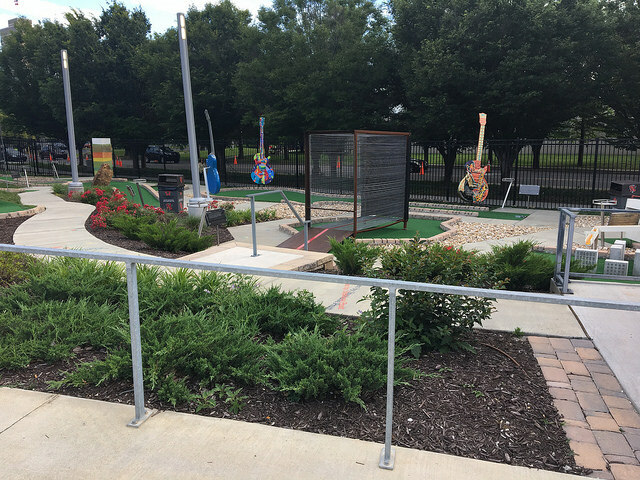 There is also a full miniature golf course out there, too. I’m sure we can debate whether all of this is necessary for a ballpark, but one thing is for certain, they put a lot of money into this ballpark. We settled into the game, and the Sounds were running on all cylinders this night. 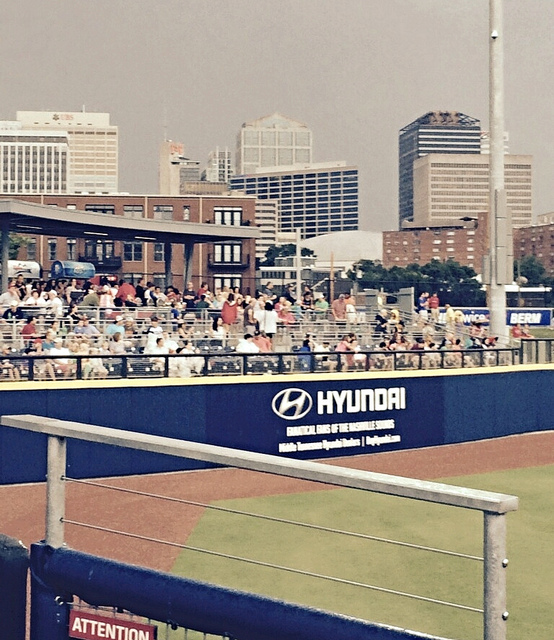 Nashville was led offensively by Joey Wendle, who went 4-5 with two RBI’s and three runs scored. 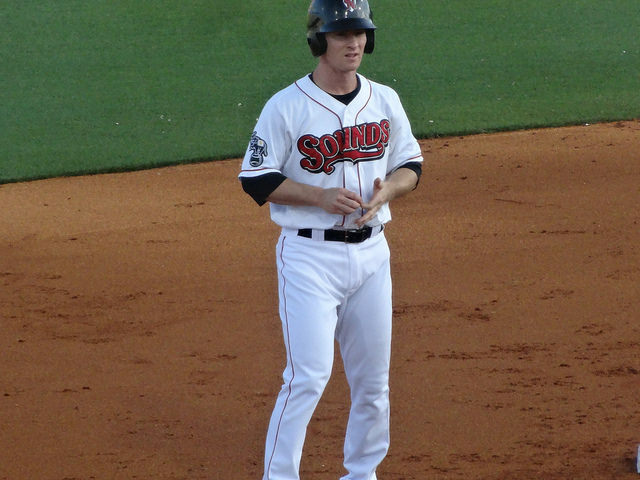 Also helping out was Chris Parmelee who went a perfect 3-3 while driving in and scoring a run. 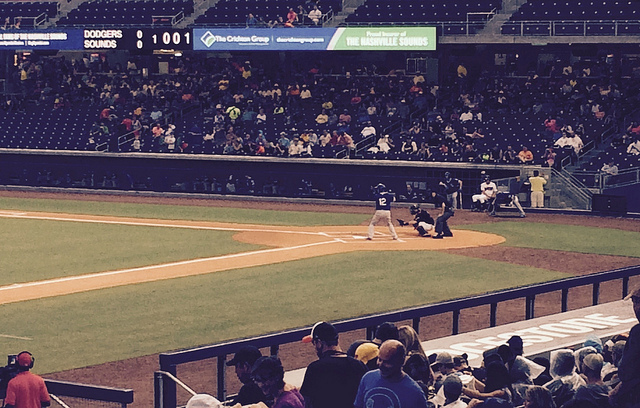 Ryan LaMarre also knocked home three runs going 1-4. 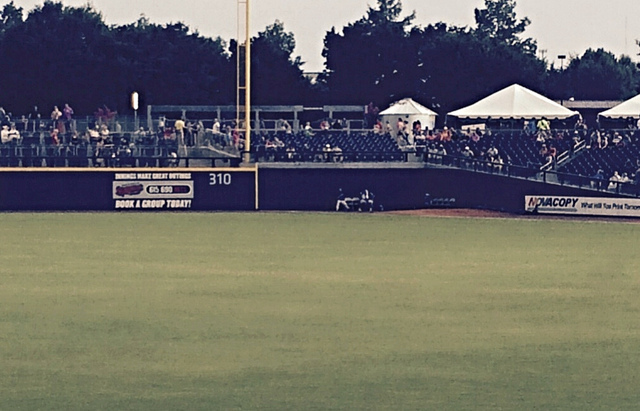 On the hill for Nashville was Daniel Mengden. 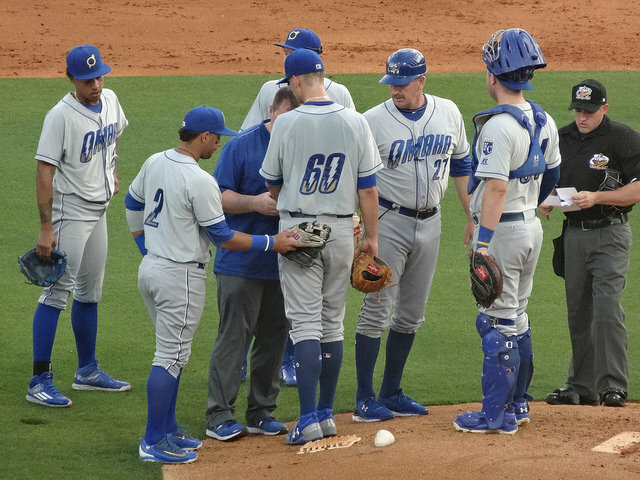 He pitched seven near perfect innings, giving up no runs on only three hits while striking out five. 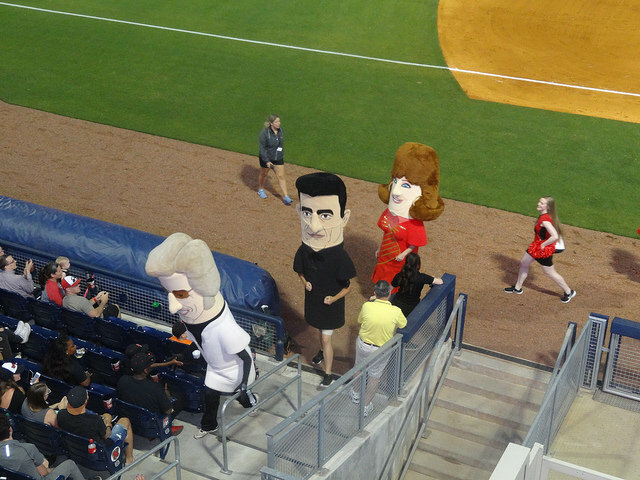 Final: Sounds 10, Storm Chasers 0. 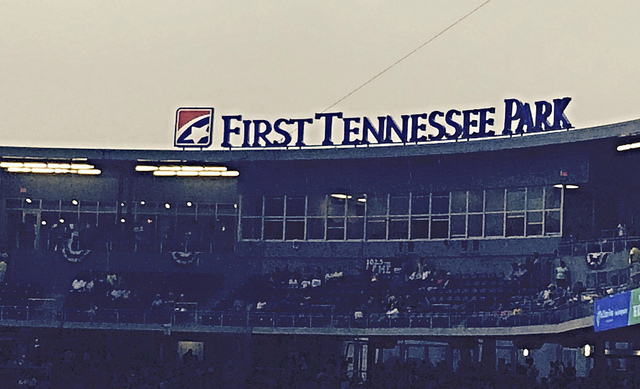 First Tennessee Park-Nashville, TN: Over the weekend my best friend was lucky enough to take in a couple of games down in Nashville. 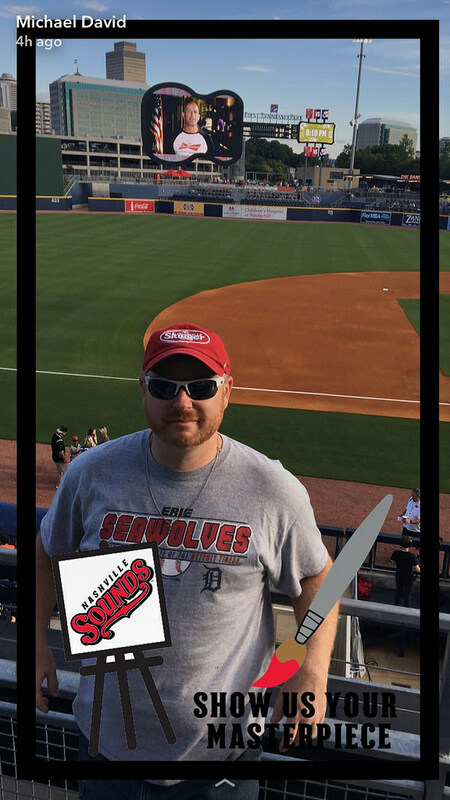 He was also nice enough to supply me with some photos of his experience, and it definitely looks like a great place to see a ballgame. 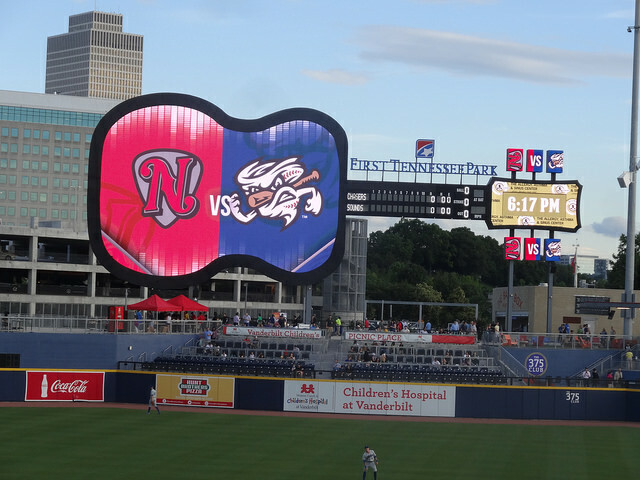 The scoreboard looks especially unique, and fits into the theme of Nashville so much, and just one of the reasons I love minor league baseball. 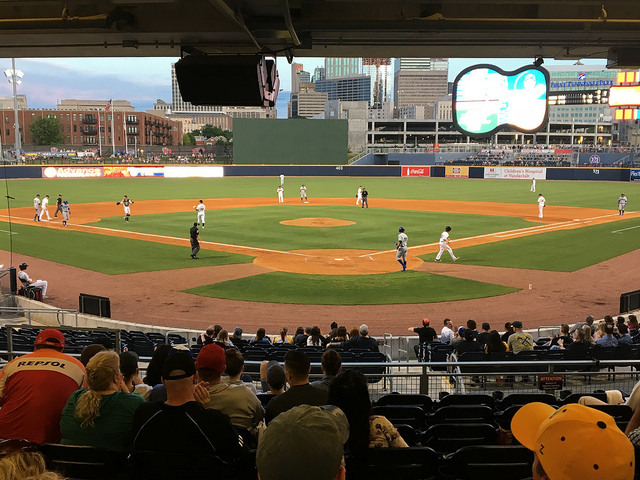 The Sounds hosted the Oklahoma City Dodgers both nights he was there, winning 3-2 on Friday, and 7-2 on Saturday. The top photo, and the one below are from Friday nights game. The rest of them below are from Saturday. Thanks again to my friend for providing these pictures. 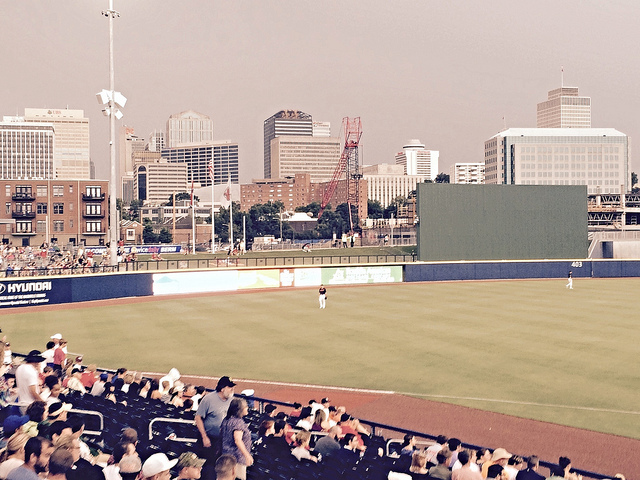 First Tennessee Park is definitely one that I need to see for myself one day.